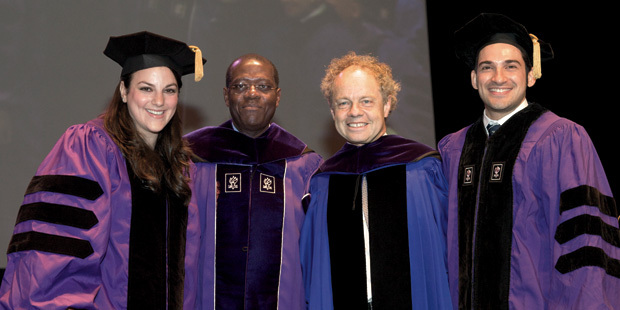 Passion and determination were themes of the day as NYU School of Law held its graduation exercises at the historic Beacon Theatre on the Upper West Side. 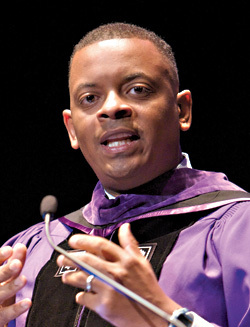 Speakers included Anthony Foxx, mayor of Charlotte, North Carolina (right), the prime minister of Trinidad and Tobago, and the U.N. under-secretary-general for legal affairs and legal counsel. Class Gift committee co-chairs Gerardo Gomez Galvis ’12, Elana Wilf ’12 (both pictured above), and Catherine Karayan (LL.M. ’12) presented a $125,000 check to Board of Trustees Chair Anthony Welters ’77. They recruited a record 36 new alumni to become Weinfeld Fellows. 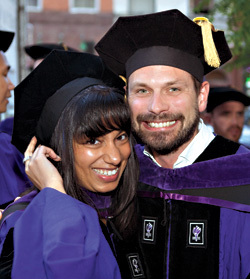 As junior members of NYU Law’s most prestigious giving society, Weinfeld Fellows are alumni who have graduated in the past decade and contribute $1,000 or more to the Law School annually.